This article is about the HOPE Scholarship in Georgia. For the national tax credit, see Hope Scholarship Credit. The HOPE Program (Helping Outstanding Pupils Educationally) created in 1993 under the supervision of Georgia Governor Zell Miller, is Georgia's unique scholarship and grant program that rewards students with financial assistance in degree, diploma, and certificate programs at eligible Georgia public and private colleges and universities, and public technical colleges. HOPE is funded entirely by revenue from the Georgia Lottery and is administered by the Georgia Student Finance Commission (GSFC). Students can benefit from HOPE in several ways. The HOPE Scholarship program is for students who have demonstrated academic achievement and are seeking a college degree. There are several ways to become eligible for the HOPE Scholarship, either by graduating from high school as a HOPE Scholar or by earning it while in college. For more information, please review the HOPE Scholarship regulations. The HOPE Grant program is for students seeking a technical certification or diploma, regardless of the student's high school grade point average or graduation date. For more information, please review the HOPE Grant regulations. The Zell Miller Scholarship program is for students who have demonstrated academic achievement and are seeking a college degree. Generally, to become eligible, a student must graduate from an eligible high school with a 3.70 GPA and a minimum score on the SAT/ACT. As of 2006, more than $3 billion in scholarships had been awarded to more than 900,000 Georgia students. As of 2018, HOPE has already helped around 1.8 million students from Georgia enroll in college. The program is entirely merit-based, meaning that a person's eligibility for the scholarship is based on their academic achievement in high school or college. Previously, traditional-college-age students whose family income exceeded $100,000 per year were disqualified from the program. 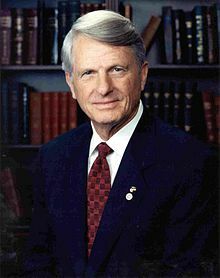 January 14, 1991: Zell Miller is inaugurated as Georgia's 79th governor. He introduces legislation before the General Assembly to establish a lottery. A statewide referendum must be passed to amend the Georgia Constitution to allow a lottery. September 29, 1999: Yomaris Figueroa of McDonough, a freshman at Georgia State University in Atlanta, was congratulated by Governor Roy E. Barnes as Georgia's 400,000th HOPE Scholarship recipient. March 2011: Georgia Governor Nathan Deal, together with state legislative leaders, pushed a new law into effect, raising the GPA requirements for HOPE and eliminating payments for books and mandatory fees. The new HOPE Scholarship, or HOPE Lite, will now be based on Lottery revenue. The new scholarship within HOPE, the Zell Miller Scholarship, will cover 100% of tuition for those students who graduate with a 3.7 HOPE GPA and receive a score of 1200 (CR+M) on the SAT or a 26 ACT Composite at public colleges ($4,000 at private colleges), and maintain a 3.3 GPA while in college. Books and fees have also been eliminated for this scholarship as well. These changes also added additional academic rigor requirements to take effect in stages starting in 2015 and going through 2017. These requirements define the type and number of specific core academic courses required for graduation eligibility for the Hope Scholarship, including raising the required GPA for students to be eligible for the HOPE Grant to 3.0. Although these changes have taken some of the strain off of Georgia's finances, it has also resulted in about 1/4th of all Technical College students dropping out of college and increases in the accrued debt of those who remained. March 2013: State Representative Stacey Evans introduces House Bill 54 to reverse some of the changes to the HOPE Scholarship program and, she claimed, help more Georgia students realize their dream and the original purpose of the HOPE program. Her ideas were incorporated into House Bill 372 which lowered the required GPA for HOPE Grants (the HOPE Scholarship for Technical Schools) back to the original 2.0 and bringing back 5,000 students into Technical College in the first year alone. Non Traditional Students were not grandfathered in with the 2011 Changes. This has led to allegations of age discrimination because students who had not received the grant before Summer 2011 and had graduated from high school more than seven years past were disqualified based on a new "seven year" criteria that has in subsequent years been modified. Critics were with Governor Nathan Deal and the sponsors of the bill that caused this change. ^ "HOPE | Georgia Student Finance Commission". gsfc.georgia.gov. Retrieved 2018-06-07. ^ "What is the future of the HOPE Scholarship?". WMAZ. Retrieved 2018-06-07. This page was last edited on 27 December 2018, at 09:13 (UTC).